« Journalism 101: What do I use to record an interview? 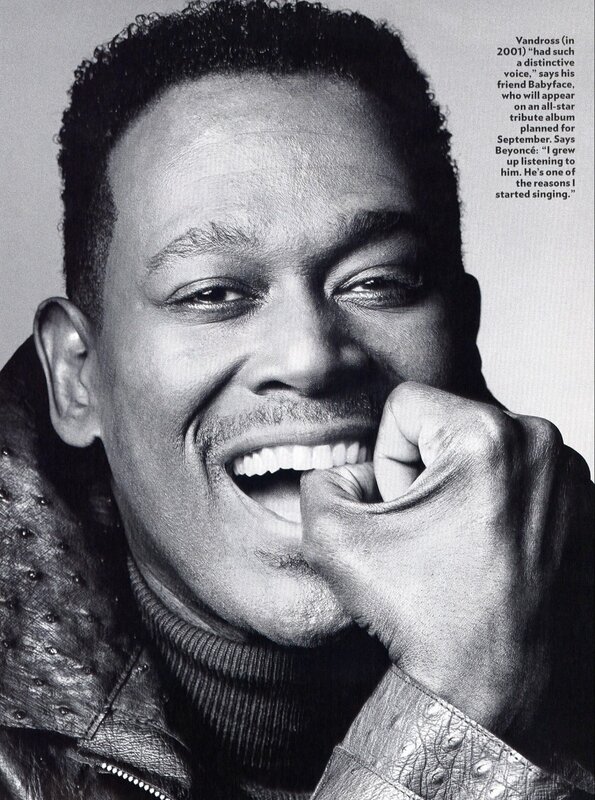 Luther Vandross would have been 58 years old today. Legend has it, Luther loved cheeseburgers made with Krispy Kreme jelly donuts instead of buns. This gastronomical monstrosity, served at several eateries, is now known as...The Luther Burger. Never too much? UPDATE: And Happy Birthday to Hanif, one of my fave Dear Readers. He’s been down (and commenting) since I discovered the Internets. And I’ve known him since he was knee-high to a pup. Happy birthday Hanif! This entry was posted on April 20, 2009 at 4:17 pm and is filed under Uncategorized. You can follow any responses to this entry through the RSS 2.0 feed. You can leave a response, or trackback from your own site. OMG. That looks soooo disgusting. are those burgers for real? where is that picture from…and, just in case you were wondering, a chair is still not a chair. @michael: and a house is NOT a home. Good lord that man could saaang. @katura. Wait. Am I the only person who would actually try this? I don’t like jelly donuts. But I have moments, at least, ahem, once a month, when I could absolutely eat a greasy burger immediately followed by a glazed doughnut. Eat ’em fast enough, as I would, and…. well, I could at least give a Luther burger a small taste. 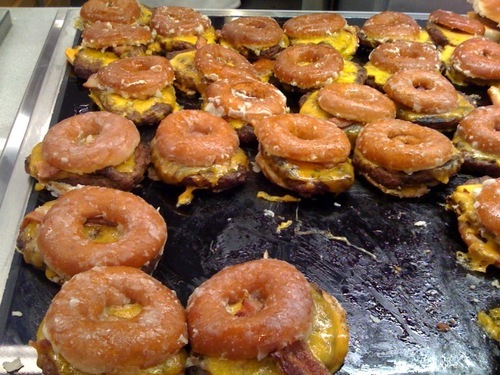 I stared at the pic for a few minutes repeating in my mind, “Is that a burger on a donut? No.” Yes it was and it looks gross. Glazed aren’t my fav anyway, but to imagine the sweetness of it mixed with the greasiness of a burger makes my stomach bubble. @yes. I love that site. @Yes I had to look at thisiswhyyourefat.com. I need to print some of those picture out and post them on my fridge and shrink one for my wallet to look at everytime I pull out money to buy trash to eat. Thanks Yes! I have to call bullshyt on this one honey! This weirdo burger is named after Luther but there’s no evidence he ever even ate one (http://www.snopes.com/food/origins/luther.asp). Its always way easier to believe that overweight people with health problems brought it on themselves when his mother, father, sister, brother, and the list goes on all died from complications from diabetes. Maybe it was diet and not genetics, who am I to say, but it seems like these outlandish eating habits are always associated with overweight people as if there’s no way to be obese or diabetic except for stuffing your face with craziness. i’m with you. i’d try those burgers in a skipped heart beat. @thembi: you’re right. I should have said this MAY be why Luther is no longer with us. ‘Cause we just don’t know. But I have to disagree on the other point. I believe Luther *could* have eaten this because he made no secret that his eating habits were poor. He often talked about how his love life affected how (and how much) he ate. Like many of us, he was an emotional over eater. You know I am food junky and would try that burger any day, but eat just half. But LOW LOW Key…..those pseudo burgers kinda look good. I’m a little ashamed.